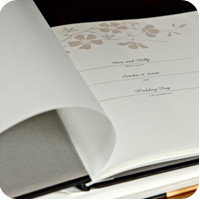 Your wedding album will measure a respectable 11.5 x 15″ in size and will be printed on 170 lb. 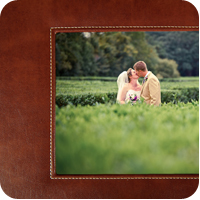 archival satin paper. 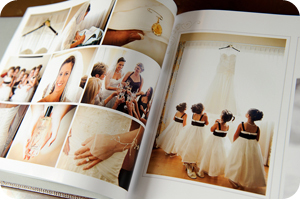 It includes between 40 and 50 pages which is generally up to 100 pictures from your wedding, but this will of course vary slightly with each wedding. 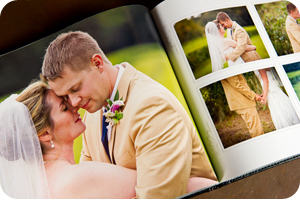 With each album we offer you the option to select the pictures that are included or to allow us to create a customized chronological depiction of your wedding day. You have several cover options. 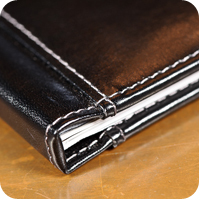 The leather cover is made of hand stitched imported genuine Spanish leather in either black or tan. 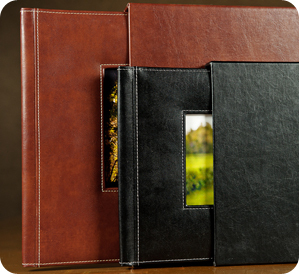 Accompanied by a matching leather insert, this cover option allows for a picture window. 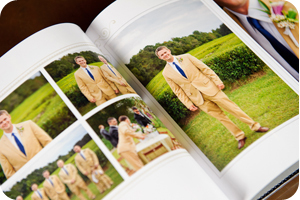 The other cover option is a traditional removable book jacket. 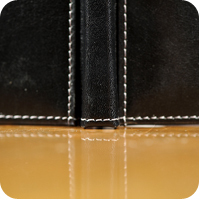 The book jacket is fully laminated and it is scratch, smudge and tear resistant. 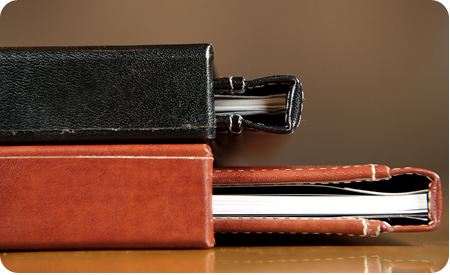 It also allows for full customization (front, back and spine). 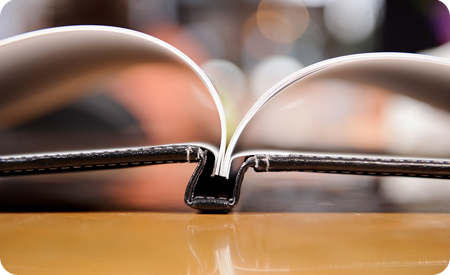 There is no additional cost for either cover option you choose.